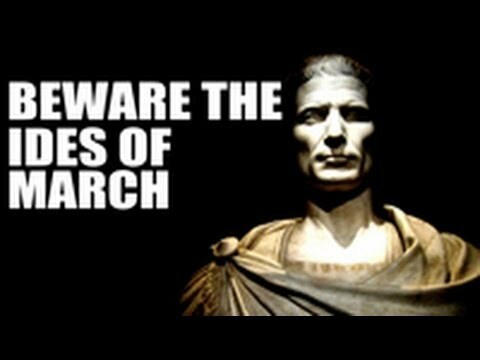 This entry was posted in Ancient History, History and tagged Ancient Rome, Beware the Ides of March, history, Ides of March, Julius Caesar, William Shakespeare Julius Caesar. Bookmark the permalink. We have the rains of march, and they’re also terrible. I can’t remember where I read it, but Caesar thought that the Ides were on the 13th & that he had nothing to fear, since it was the 15th. The Romans were often confused as to which day the Ides actually fell upon. Unfortunately, he was wrong. Caesar ought to have checked the calendar, in all but 4 months of the year Ides fall on the 13th.